If you’re unfamiliar with mini-split systems, ductless heat pumps have become the ‘next big thing’ over the past few years. While not necessarily new technology, mini-split systems have rapidly gained popularity recently due to the slew of unique benefits they provide. Home and business owners have happily made the jump from archaic window units and heating solutions to a ductless system, and the professionals at ComfortMaster are happy to rise to the demand! Our experts have the ability and tools to make your ductless heat pump installation a snap. We aim to leave you with an optimized heating and cooling solution that is as easy on the eyes as it is to operate. All of our work is proudly guaranteed, and our work for past consumers speaks for itself. Considering a ductless heat pump installation for your home or business? Contact the specialists at ComfortMaster today over the phone at 845-265-6500. Are you looking for ductless systems for office buildings? We also offer ductless AC repair! A ductless heat pump system is zonal. Not in the way geography is, but more in the way of heating and cooling being controllable on a room to room basis is. They lack the traditional bulk of central units because they don’t use ducts. Generally, they are comprised of an outdoor section located on the exterior of your structure or dwelling. The temperature controlled air is then pumped into your structure via small, independent vents (commonly referred to as “heads”) installed in each room. These are linked by a refrigerant line, and controlled by a master panel. Ductless systems allowing zonal control can save you tons of stress when seeking a heating and cooling solution. They make the inefficient dinosaurs known as window units obsolete, and offer complete control over the temperature of your entire building. Energy-efficiency. If you struggle with utility costs, ductless systems might be right for you. By providing you the option of where to heat or cool and when, ductless heat pump installations offer you the ability to put your energy where it is needed most. Improved air quality. Air filtered through a ductless heat pump is filtered rigorously. much more so than traditional heating and cooling systems, and thusly you gains some substantial benefits in health. 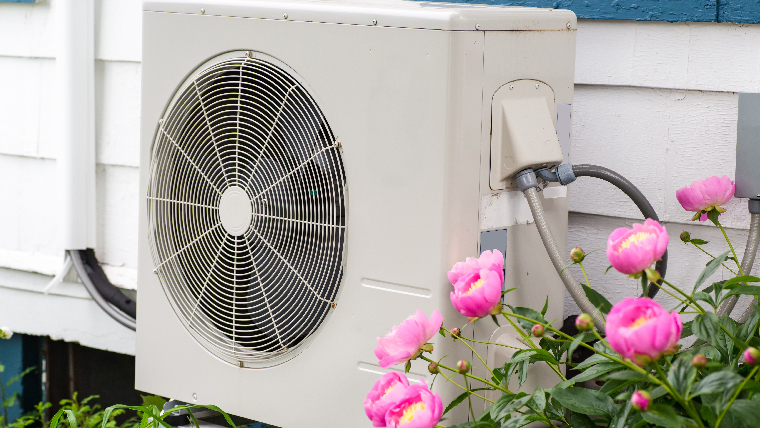 The installation of these systems may sound complex, but it’s actually exceptionally simple for a professional to get your heat pump installed and running in no time. Without all of the bulk of other heating and cooling systems, mini-splits offer silent comfort. You don’t have to worry about those noisy window units, or the space robbing ducted systems anymore! Does a ductless heat pump installation sound like something you need? Give us a call for advice. With our team of professionals, we can confidently assure you you’ll get exactly what you want. All of our jobs are guaranteed, and we can say with pride that you will be completely satisfied. Get the heating and cooling system you deserve with the help of ComfortMaster today! Contact us online or over the phone at 845-265-6500 for your estimates, or with any questions you may have about our ductless heat pump systems!